We will modify its configuration ... Access the properties. Check the box "Run even if the user is not logged in". Note: You do not have to use the Administrator account to perform this task, but the specified account must be a DHCP administrator for it to work. 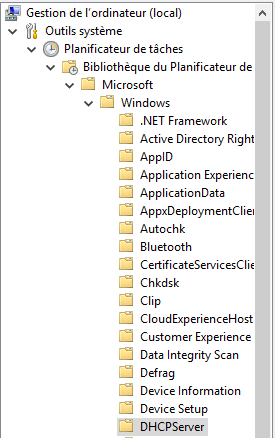 ... Then in the "Settings" tab uncheck "Stop the task if it runs more than ...". 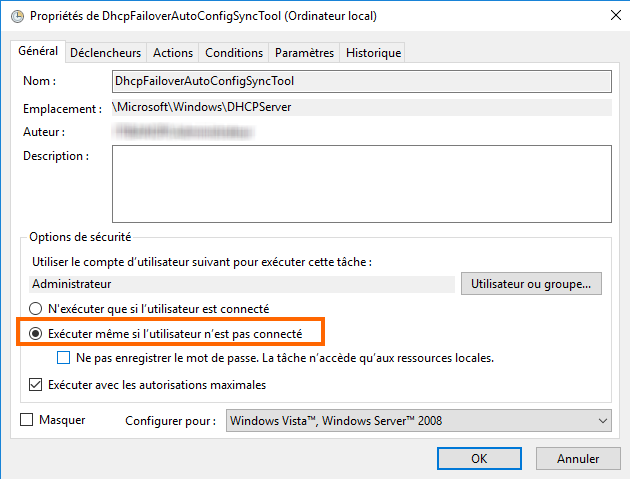 You can validate the new configuration of the scheduled task. Since this tool relies on the analysis of the DHCP server's event log, it must be checked to see if it is active. 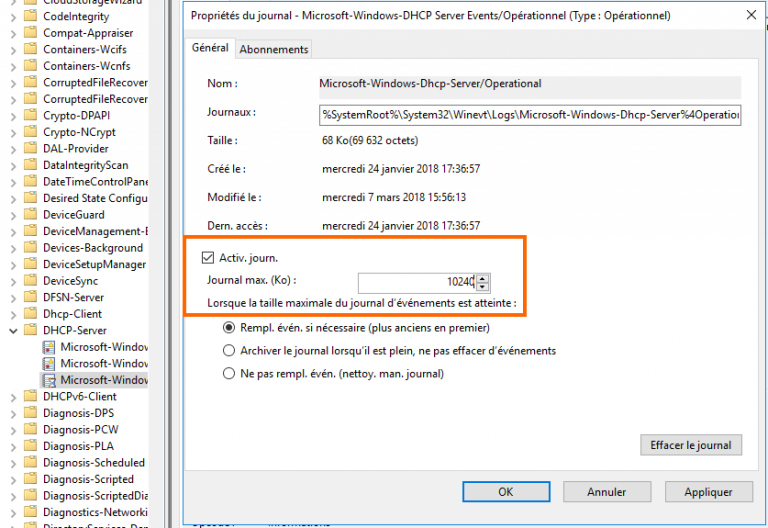 In the DHCP Server Event Viewer, navigate to the Log: Application and Services Logs, Microsoft, Windows, DHCP-Server, and then "Microsoft-Windows-DHCP Server Events / Operational". Right click on it and activate it if necessary. 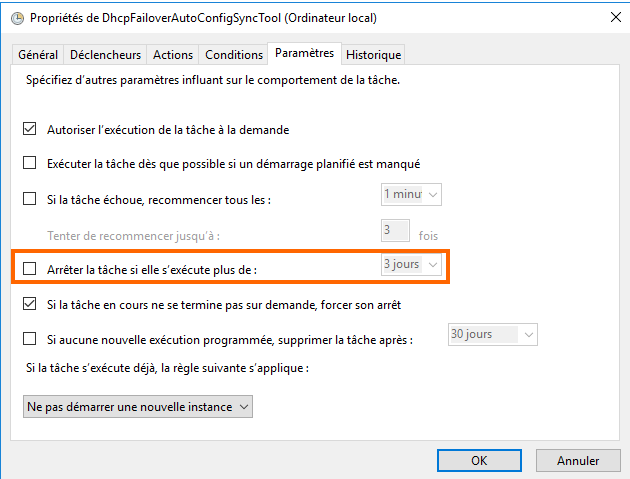 Still with the right click, go to the log properties and increase the size in KB to 10240 or 10 MB. Here you are with two DHCP servers that synchronize DHCP leases but also the configuration, which is still essential!